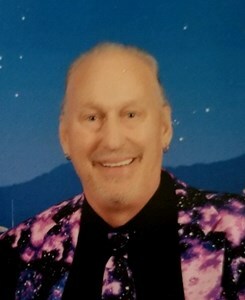 Curtis William "Curt" Romeril, age 67, of Port St John, Florida passed away on Tuesday, April 9, 2019 at Holmes Regional Hospital. A native of Indianapolis, IN he came to Port St John 12 years ago from there. Curt served in the US Navy and was a career Deputy Sheriff in Marion County, Indianapolis, IN. Curt served as a mounted Deputy and after that as a K-9 officer. He was always one of the Deputies who served at the 500 and was there for any others who needed help. He is survived by his wife: Janet L; son: Shawn T (Sarah) of Indianapolis, IN; daughters: Diana L (Jeffrey) Neal of Indianapolis, IN, Casie (Nick) Starnes of Indianapolis, IN; brother: Craig (Connie) of Indianapolis, IN; Grandsons: Thomas Neal, Joseph Neal, Cole Starnes, Dane Starnes; Granddaughters: Peyton, Alyna "Aly" Step-Sons: Jason (Stephanie) Gifford of Ft Mills, SC, and Ryan "Tulley" (Angela) Gifford St Louis, MO. To share your memories of Curt or leave a special condolence message for his family, please click the Share Memories button above. Add your memories to the guest book of Curtis Romeril. Honey, you were taken away from us all too soon. But the memories and love you shared with us will always be remembered and cherished. Our first cruise in March this year was awesome and we were definitely going to go on more cruises. The pictures from the cruise I cherish and look at each day. Steve Rendleman said it best in his note to me: After hearing he passed while walking his dog, now he is on Eternal K-9 Patrol in Heaven”. I love you and miss you, honey, but will join you some day. All my love! I remember Curt from our days at Arlington High School we both sang in the Concert Choir. I did not reconnect with him until I was a young officer with Lawrence Police and he was a Deputy Sheriff. He was a dog handler and I was a street officer. We recognized one another we chatted about our school days. He was a dedicated officer. I had the opportunity to meet his son who is a police officer but never put it together. We occasionally would see one another and talk about our school days. I know that his children are proud of his distinguished career. My prayers are with his family. Diana, we are so sorry to hear about your father.